Glass Company | Victorville, CA | Victorville Glass Company Inc.
Let the Sunshine In With Glass Windows! Victorville Glass Company Inc. has been a fixture in the Victor Valley area for more than 50 years. We offer reliable services and a courteous and professional staff. In addition, all of our projects are completed quickly and efficiently, so you'll experience minimal interruptions in your home. At Victorville Glass Company, we believe it's important to do more than just be in the community—we want to be active members and good neighbors of the community. We complete every job as promised, on the timeline outlined, and at the prices given during estimates. Our commitment to excellence is prioritized during all jobs, and all of our services are 100 percent quality guaranteed. We go above and beyond with service and only use expertly trained staff for every job. No matter how big or small your project, we ensure personalized attention and impeccable details – for outstanding finishes. Our goal is to optimize our products for your home. Thanks to our time-tested installations, we can guarantee longer-lasting glass windows and doors, as well as improved energy efficiency. No matter how big or small your project, we ensure personalized attention and outstanding finishing details. Victorville Glass Company offers services to meet all of your commercial and residential needs. 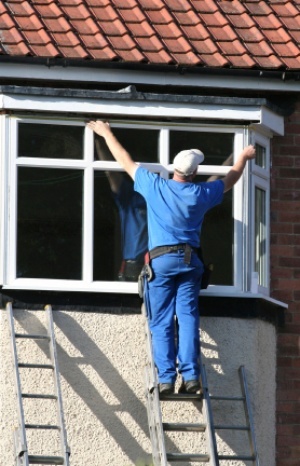 Our window services include residential window and door installation, window repair and replacement, cut glass, tub and shower enclosures, window and door screens, and custom work. Our commercial services include comprehensive storefront framing, as well as door repair and parts. We have a wide range of products in-stock available to purchase immediately. We also provide 24-hour emergency response, so you'll never be left out in the cold. Call us today at 760-245-3456 for your free estimate. © 2019, Victorville Glass. All Rights Reserved.